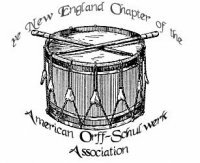 The New England Chapter of the American Orff Schulwerk Association (NEAOSA) serves the Greater Boston and New England Area. The Chapter offers full-time college students, classroom teachers, music teachers and administrators six workshops each year for a modest fee, and full-time students are free. Through these workshops individuals learn and grow as educators and future educators and have the opportunity to connect with each other. Each year, NEAOSA also offers $500 scholarships to members who wish to attend the AOSA National Conference and for those who wish to take Orff Music Teacher Training Levels courses. The number of scholarships offered varies each season. The information to apply for these scholarships can be found by clicking on the word "scholarships" in the menu above. "The real goal of the Schulwerk is attained in one's enjoyment of the fruitful combination of personal and interpersonal resources." Wilhelm Keller, Introduction to Music for Children, trans. Susan Kennedy, p. 5. 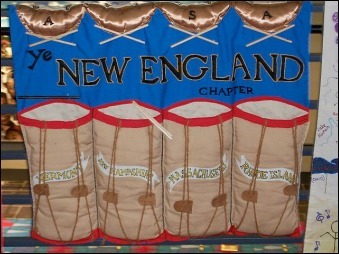 ​The New England Chapter is an affiliate of our parent organization, the American Orff Schulwerk Association (AOSA). AOSA is a national organization. It provides professional development opportunities via their website and a National Conference and much more. The National Conference is held in November and in a different location each year. The 2018 conference will be held at the Duke Energy Convention Center located in Cincinnati, Ohio on November 7-10. You must be an AOSA member to attend! If you are a satisfied member of the New England Chapter, you should also consider joining AOSA. AOSA's logo and the cost of their current membership plans are below. Check out the AOSA website (www.aosa.org) by clicking the AOSA Website Button above.